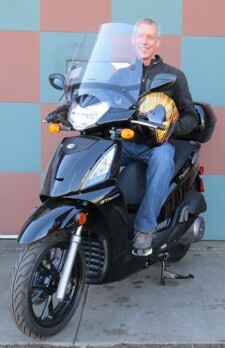 The Kymco People GTi is one of the best do-everything scooters out there (JustGottaScoot.com GTi300 Review) and now there's a windscreen that works on USA model GTi scooters. 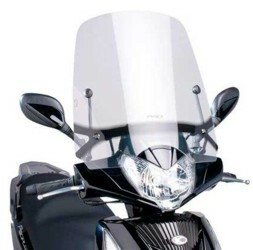 This PUIG windscreen is specifically designed for the Kymco People GTi 200 and 300 scooters and DOES NOT require removal or modification of the USA-mandated add-on front turn signal lights. 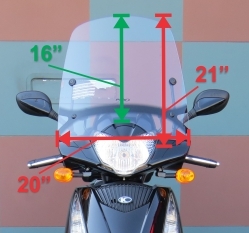 The windscreen is 21 inches tall and 22 inches wide. The installation is very straightforward and relocates the rear-view mirrors about an inch further back. At this time, we only ship to the contiguous 48 states in the USA.